As Smallville draws to a close, we are being allowed a few glimpses of the culmination of the young Superman legend. 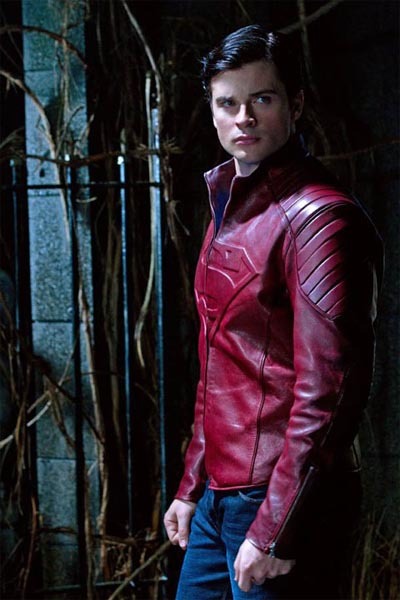 In that spirit, here’s a picture of Clarke in an oddly leather-looking early fetish version of the famous red suit. What the heck was he thinking when he put that jacket on? Sure as heck wasn’t getting even with Lex Luthor back from the dead now, was it? Thanks to SFX magazine for spotting this beauty.